There’s a lot to be optimistic about in the Healthcare sector as 2 analysts just weighed in on miRagen Therapeutics Inc (NASDAQ: MGEN) and Edwards Lifesciences (NYSE: EW) with bullish sentiments. B.Riley FBR analyst Madhu Kumar reiterated a Buy rating on miRagen Therapeutics Inc (NASDAQ: MGEN) today and set a price target of $15.50. The company’s shares opened today at $8.06. 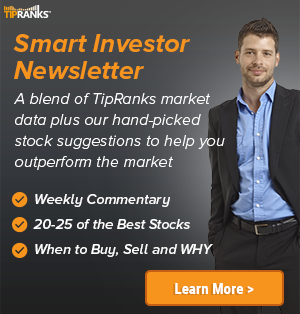 According to TipRanks.com, Kumar is a top 100 analyst with an average return of 49.9% and a 71.2% success rate. 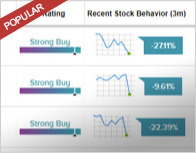 Kumar covers the Healthcare sector, focusing on stocks such as Spring Bank Pharmaceuticals Inc, Arbutus Biopharma Corporation, and Iovance Biotherapeutics Inc.
miRagen Therapeutics Inc has an analyst consensus of Strong Buy, with a price target consensus of $15.83. Northland Securities analyst Suraj Kalia assigned a Buy rating to Edwards Lifesciences (NYSE: EW) today and set a price target of $120. The company’s shares opened today at $133.76, close to its 52-week high of $137.95. 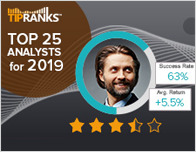 According to TipRanks.com, Kalia is a 4-star analyst with an average return of 7.3% and a 54.5% success rate. 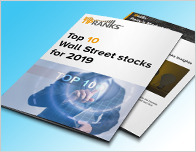 Kalia covers the Healthcare sector, focusing on stocks such as Tactile Systems Technology, Obalon Therapeutics Inc, and Apollo Endosurgery Inc. Currently, the analyst consensus on Edwards Lifesciences is Strong Buy and the average price target is $146, representing a 9.2% upside. In a report issued on January 31, SunTrust Robinson also reiterated a Buy rating on the stock with a $150 price target.